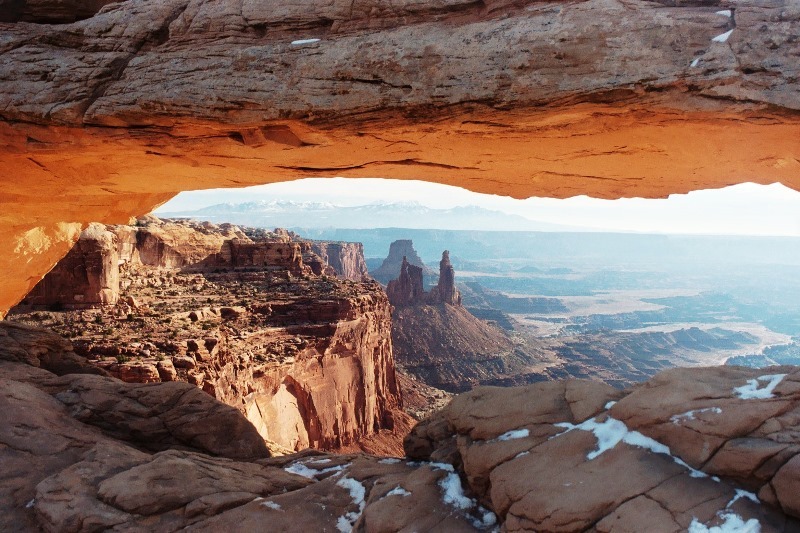 Canyonlands National Park is situated in south east Utah close to the Arches National Park. The proximity of these parks combined with the fact that we flew into Salt Lake City (which is about 5 hrs away), made us to combine both the parks in the same trip. Canyonlands, unlike Arches, is a huge national park and it could easily take 3 to 5 days to explore the different sections of the park. This national park is divided into three sections - Needles, Island in the Sky and the Maze of which Island in the Sky region is the most suited for visitors with limited time, and hence the most visited. The Island in the Sky section is an island lying between the Green river and the Colorado river. This section of land, due to some sub terrestrial activities, has been steadily rising. 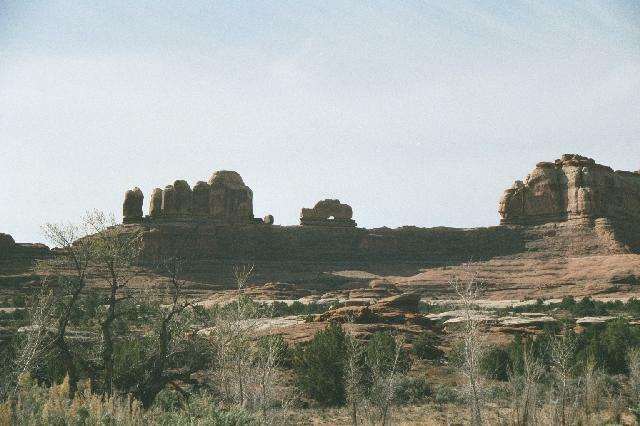 The land has risen so much that it is about 2000 ft higher than the Arches National Park, which has the geologically older Entrada sandstones. Whenever the land close the banks of a river rises, it normally results in the river cutting through the land to form wonderful canyons and Island in the Sky is no exception. The place is very similar to the Grand Canyon and since the canyon is shallower, it offers much better views of the Colorado river than its more famous counterpart in Arizona. Of all the view points in this region, the most dramatic one is the Mesa Arch where one can see the canyon through an arch. Apart from half a dozen points from where one can see the canyons cut by the Colorado and the Green river, the place also hosts a meteor impact crater - Upheaval Dome (which I think is not worth a second look) - and some Anasazi Indian ruins. The Needles section is situated about a couple of hours drive from the Island in the Sky (an hour and a half from the Arches). Apart from the "Wooden Shoe" lookout, this section does not have any vista points worth a mention and hence a trip to this part of the park should be pretty much hike oriented. The best hike in this part is a 9 mile trail known as the "Joint-Trail" which takes you through some pretty landscapes. The other recommended big hike leads you to the confluence of the Green and Colorado rivers. Since I didn't know these details, I pretty much have to put another trip to do these hikes. The "Maze", the third of the trio, should be attempted only if you have a four wheel drive vehicle at your disposal. As I didn't have one, I didn't go there and from what I heard from the more adventurous visitors, this section is known mainly for its driving challenges and has pretty much the same sights to offer as the other two sections of the park. 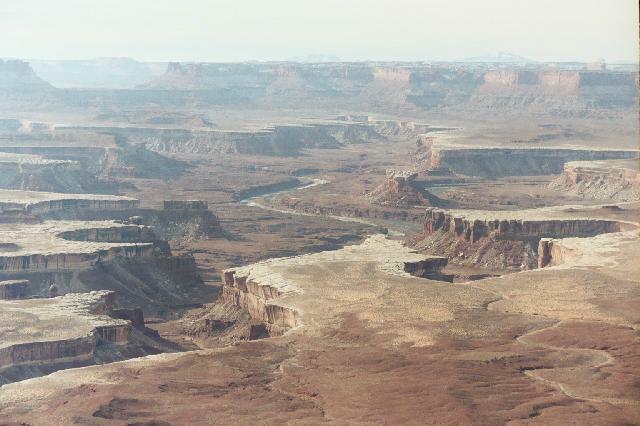 Click here for more photos from the Canyonlands. 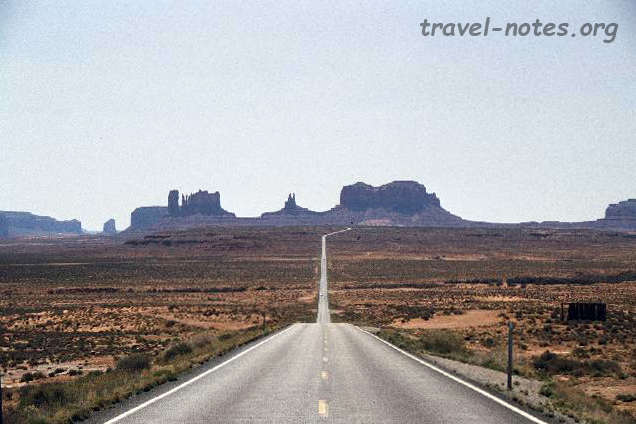 Monument Valley is situated in the heart of Navajo Indian territory, very close to the Four Corners and it is one of the few spots in Arizona which follow the daylight savings time of Mountain Zone. This is the place where most of the well known Westerns have been shot. The best way to approach this place is from the north and the first view of the valley is pretty breath taking. If you do come down from Arches (north) stop by the Mexican Hat and Navajo Twins formations. The formations around these area are pretty aptly named and one normally wouldn't have to look long to identify the formations by their names. Private vehicles are allowed inside the valley on the scenic 17 mile drive through the gigantic formations of Mesas, Buttes and Spires. Anyone wishing not to risk their transmission driving on these unpaved roads or wishing to have closer look at the formations can take a guided tour available at the entry. An easy way to identify the formations in the valley is to use the following thumb rules: anything with an aspect ratio (height:width) of less than one is a Mesa, anything with a high aspect ratio is a Spire and everything in between is a Butte. 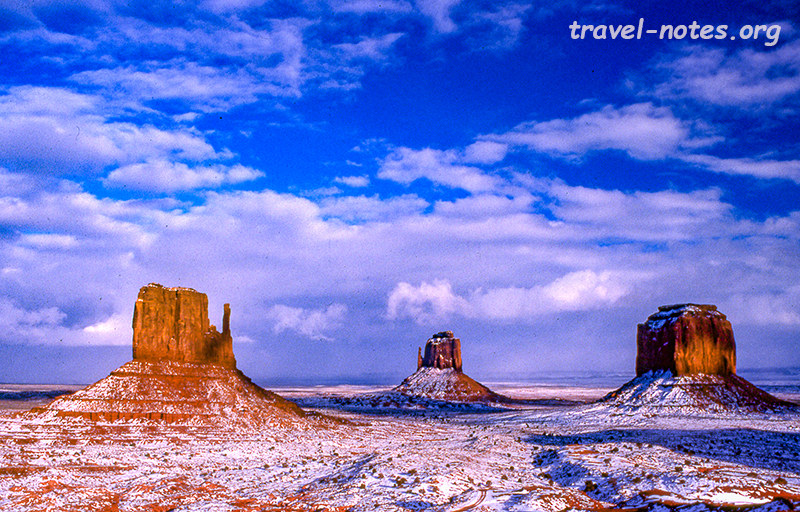 Click here for more photos from Monument Valley.